* If you prefer, you can see a .pdf version here (3.47 Mb). Merry Christmas! We trust that you are enjoying the holiday season as we celebrate the birth of Jesus. Since Christmas is often a time for families to be together, we would like to give you an update on our families. Things have been going well at Oasis Church the last few months. As we are nearing the end of our 16-month Bible Study series on 1 Corinthians, it has been encouraging to see the people’s desire to learn and grow through the study of God’s Word. Our discussion of spiritual gifts in chapters 12-14 was especially fruitful, as people are finally embracing the idea that each member in the church family has a significant role to play in the body of Christ. We are slowly seeing a greater sense of responsibility and ownership when we gather together, as more and more people are seeking to make their own unique contribution to the growth of the church. PLEASE PRAY for continued growth and maturity of the Oasis Church family. May each of them have the courage and faith to fill the ministry role that the Holy Spirit has prepared for them. From the New Year, we will most likely begin to study one of the Gospels. PLEASE PRAY for us as we look to Jesus, learn from Jesus and seek to follow Jesus more. 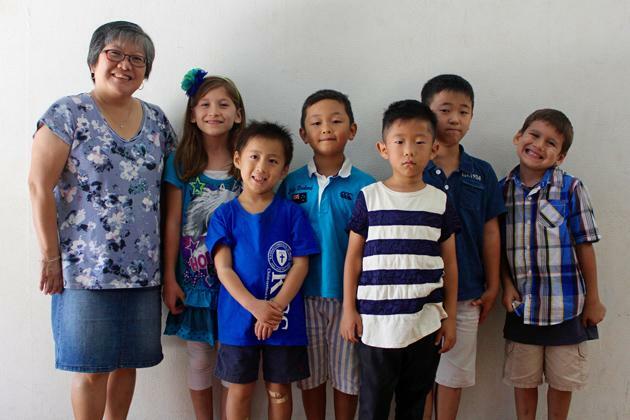 In September, Chris started her second year as the full-time 1st-2nd grade teacher at Kansai Christian School. With a year’s experience under her belt, coupled with a slightly smaller class, she is looking forward to a good year. Chris has already had a busy Fall w/ Spirit Week, Sports Day, Parent/teacher conferences & Thanksgiving, and once we get into the new year, the all-school drama production will take up a major portion of her time. We ask that you PLEASE PRAY for Chris. May the Lord give her strength, wisdom and love as she teaches and interacts with the students every day. PLEASE ALSO PRAY for her students. In the Fall, Michael had the opportunity to speak to the high school students about spiritual gifts. The purpose of this 4-part series was not only to lay a Biblical foundation of spiritual gifts, but also to encourage the students to allow the Holy Spirit to use them to serve, bless and encourage the people that God has placed in their lives. PLEASE PRAY that the high schoolers would begin to see their time at KCS as not only a place for accademic growth, but also as an opportunity to build up one another in their Christian faith. From February, Michael will once again be teaching at the monthly all-school chapel times. 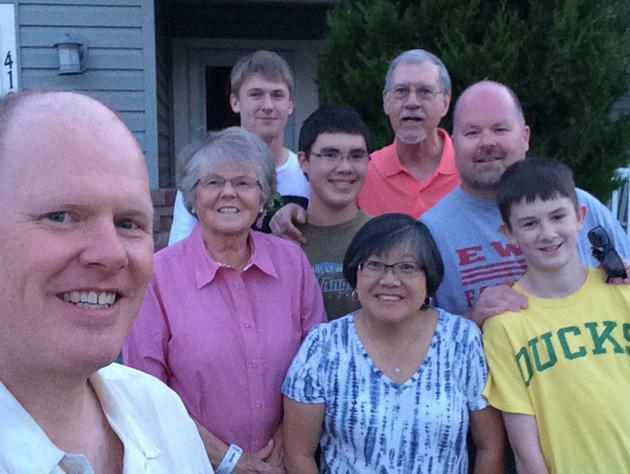 In July, Chris made a quick trip to the States to see her parents. Her mother’s Alzheimer’s is gradually getting worse, as she was even less responsive than before. Chris also noticed a significant deterioration in her father’s condition; he was noticeably weaker and showed early signs of dementia. 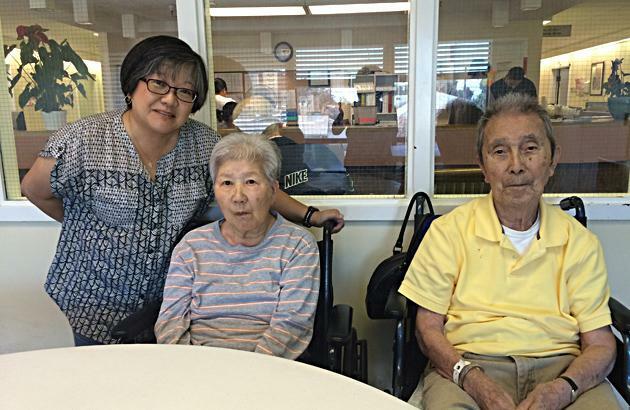 We are very thankful for the wonderful care they receive at Atherton Baptist Homes, but it is still very hard for Chris to be so far away from her aging parents. It is an on-going struggle between wanting to honor her parents and wanting to be obedient to what the Lord has asked her to do in Japan. PLEASE PRAY for Chris’ parents. May they experience the joy and peace of Jesus each and every day. PLEASE ALSO PRAY for Chris as she continues to worry about her parent’s situation. 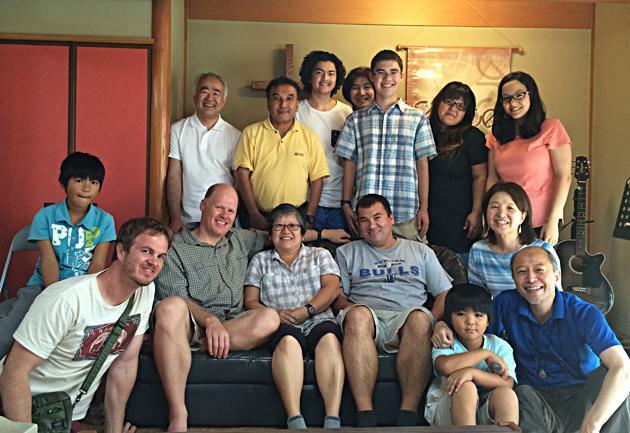 May the Lord also give her a deep, supernatural peace while she serves here in Japan. Sadly, in mid-September Michael’s mother (Nancy) passed away from complications due to multiple myeloma (cancer of the bone marrow’s plasma cells). Although she had been battling this cancer for more than 10 years, her passing came quite unexpectedly. At the time, she was in the hospital recovering nicely from a stem cell transplant, when she suddenly developed a staph infection that her suppressed immune system could not fight off. Michael was able to return to the States for the memorial gathering, and then stick around for a few weeks to help settle her estate. We will miss her very much. Not only was she a wonderful mother/grandmother, but she was also a huge support for us during our 20 years in Japan. We ask that you ESPECIALLY PRAY for Michael’s family in Spokane. David (Michael’s brother) and Bob (Nancy’s husband) were the ones who saw her every day and for whom her absence is most deeply felt. Thank you. Well, that is about it for now. Again, we want to express our deepest appreciation for your continued prayers for us, for Oasis and for KCS. Only in heaven will we know the true extent of the impact you are making in Japan because of your faithful intercession for us. Thank you. May you and your family have a Merry Christmas and a very Happy New Year!